With Photoshop Elements 10, users not only have access to fun editing and creation features, but also the ability to organize photos. 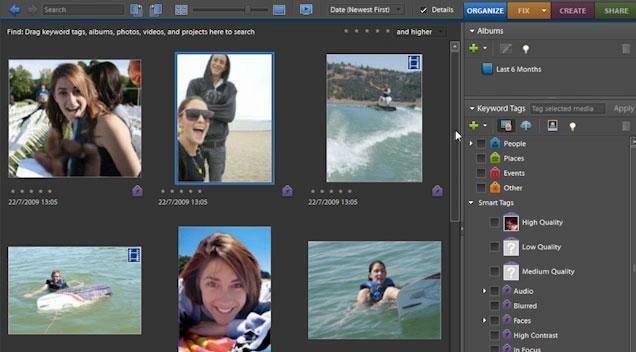 Object Search automatically finds objects within photos, such as a landmark, flower or pet. The Elements Organizer can even automatically detect duplicate or near-duplicate photos so users can clean up and delete the photos they dont need and quickly group similar collections of photos. Also, photo enthusiasts who shoot video can now upload their clips directly to Facebook or YouTube. Photoshop Elements 10 users can purchase Adobes integrated online service, Photoshop Elements Plus, which includes 20GB of storage for automatic online backup and sharing (up to 15,000 photos or four hours of DVD-quality video), as well as access to an extensive library of how-to's, artwork and Online Album templates for sharing online. Whether users are social networking or using sharing sites like Facebook, Flickr®, YouTube or Photoshop.com, Photoshop Elements 10 lets customers share their photos directly from within the Elements Organizer and view them from virtually anywhere on the go, offering a comprehensive set of sharing capabilities for todays increasingly social and mobile worlds. For Facebook lovers, Photoshop Elements integrates users Facebook Friend Lists for easily tagging photos that can then be shared directly to Facebook. Adobe Premiere Elements 10 empowers users to take advantage of amazing tools that help make the most out of every video. Enhancing visual clarity is even easier with Adobe Photoshops color correction technology for video, including new one-click tools and pro-style corrections for perfect color throughout each movie. New InstantMovie themes automatically create compelling videos in seconds. All these features make creating finished movies just as fun, as it is easy. Users can turn individual photos into entertaining videos with Adobe Premiere Elements 10 by taking advantage of pan and zoom motions to add drama and interest. Automated options do the work of finding faces using content-intelligent face detection to pan and zoom to the most important elements of a photo  the people. Mac users now have the ability to use SmartSound to add a variety of musical tracks that perfectly match the length of movies. 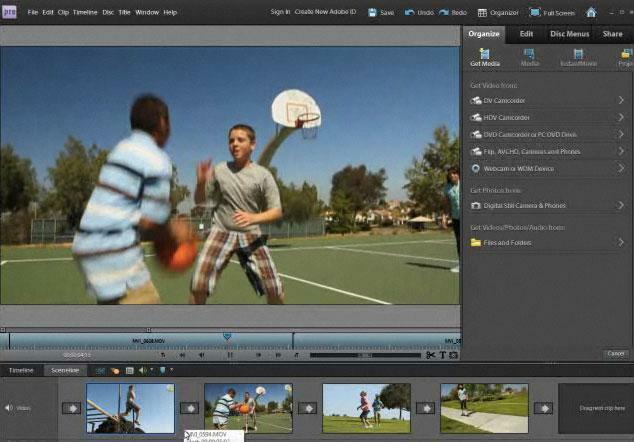 And now, Adobe Premiere Elements offers enhanced performance for 64-bit Windows 7 users.